Waves roll into shore along this sandy beach in Michigan’s upper peninsula. 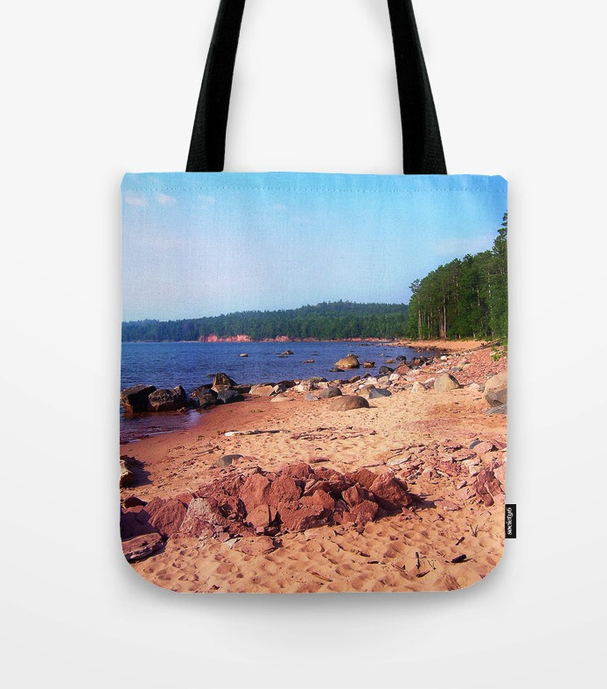 This photograph of Lake Superior was taken at Little Presque Isle, north of Marquette. If you’d be interested in a print for your home, or at the office, then stop by my gallery at Fine Art America – a wide variety of print types are available for your selection! Waves splash into shore through the shallows of Lake Superior near Little Presque Isle, located north of Marquette in Michigan’s upper peninsula. While I encourage people to travel whenever possible, guests may enjoy this beautiful scenery from the comfort of their own home by visiting my gallery at Fine Art America. Discover great prints – framed, canvas, metal, art, acrylic and wood! 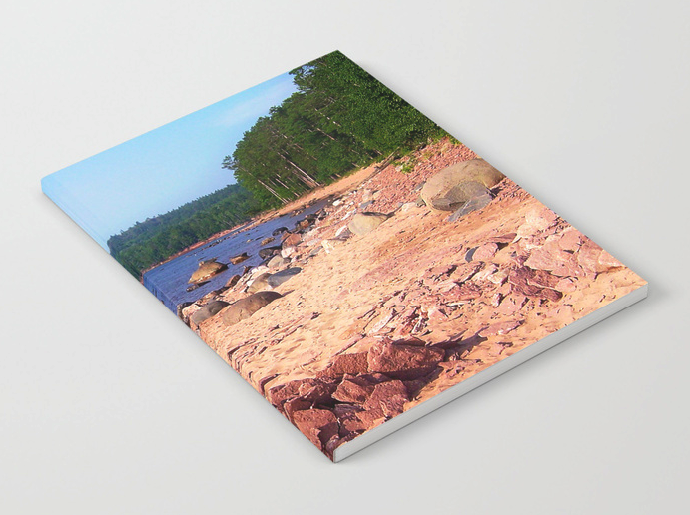 This photograph of a Lake Superior shoreline was taken in Michigan’s upper peninsula, between Marquette and Big Bay. The island in the background is Little Presque Isle. 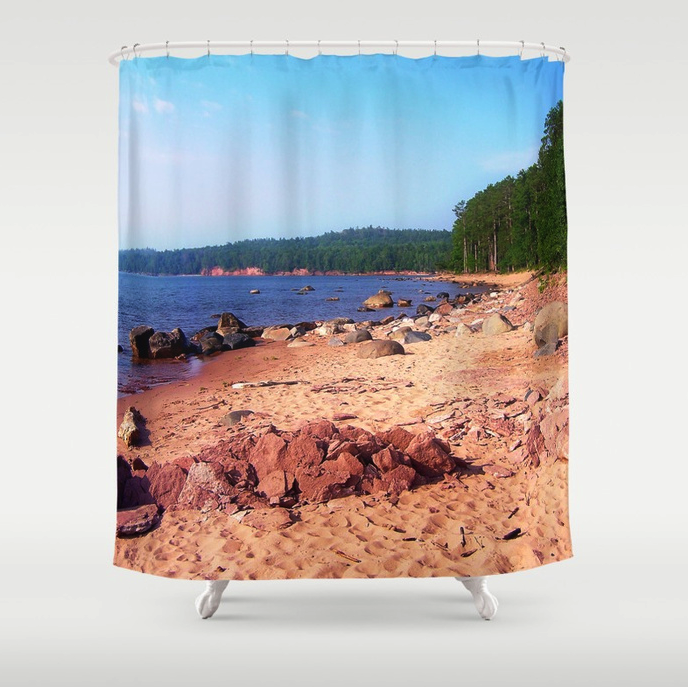 While traveling to this beach may represent a major undertaking, you can more easily visit my gallery at Fine Art America – there, a variety of prints are available for you to enjoy the great outdoors from the comfort of your home, or office. Thanks for stopping by! 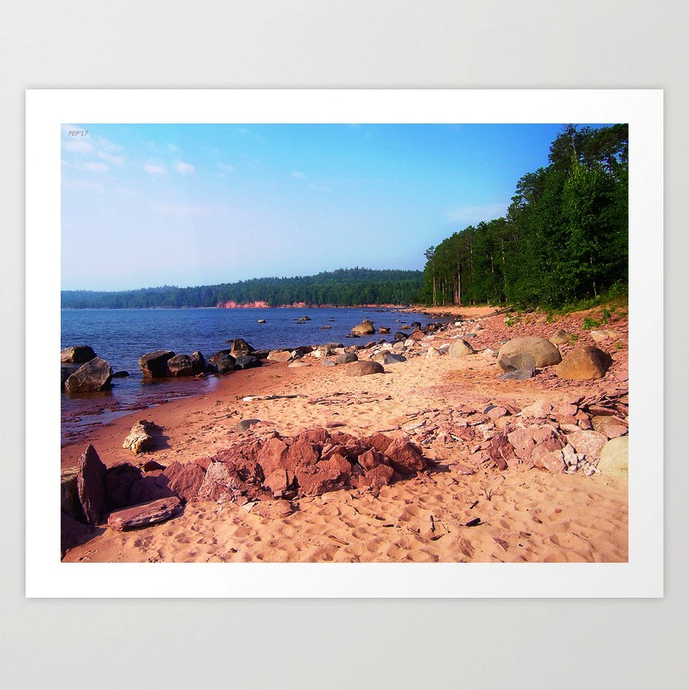 Photographed in Michigan’s upper peninsula, north of Marquette at Little Presque Isle, this lovely Lake Superior shoreline scenery would make a wonderful addition to a wall in your home! Available in my gallery at Fine Art America, select a framed print from a variety of sizes and customization options – frame, mat, paper and finish. Or, consider other print types – canvas, art, metal, wood or acrylic. Enjoy the great outdoors! This textural, vintage photograph features an old lighthouse located on Lake Superior at Marquette, in Michigan’s upper peninsula. 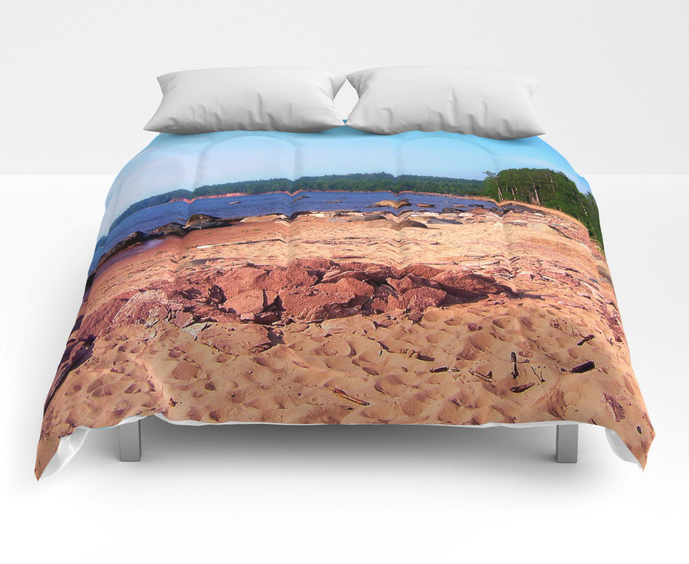 Now named McCarty’s Cove (formerly, Michigan Beach), guests may enjoy a summer day at a clean beach with clear water and dune grass – all year long, by visiting my galleries at Society 6, Redbubble and Fine Art America. 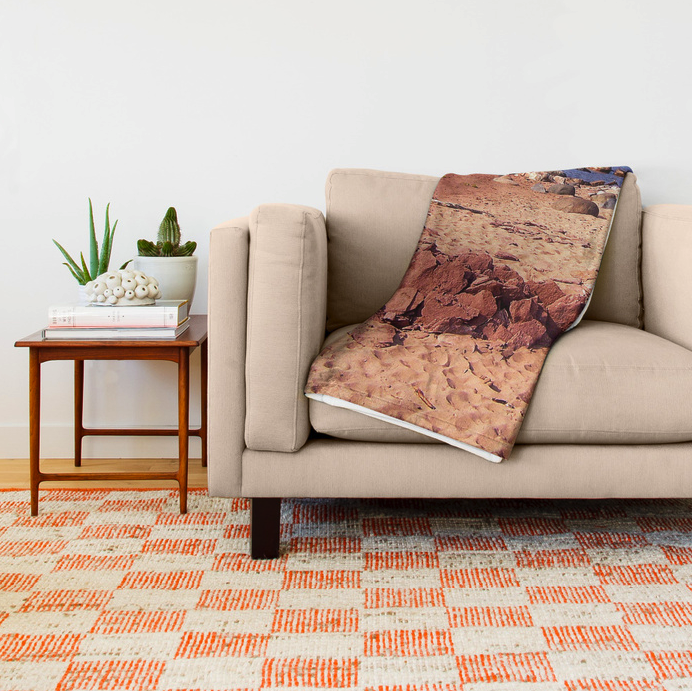 Many great prints and other items are available! 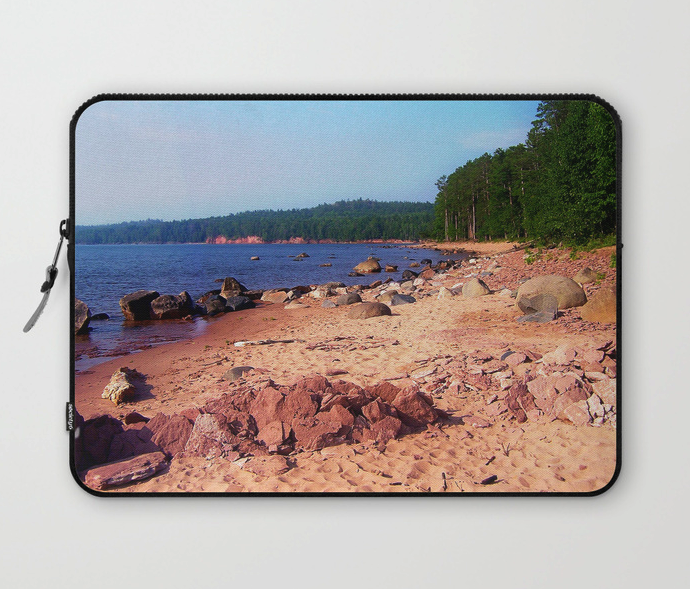 Enjoy my rendition of a summer coastal landscape – a beach on Lake Superior, based on a photograph from Michigan’s upper peninsula. Guests may visit my gallery at Fine Art America to discover a variety of unique prints available. 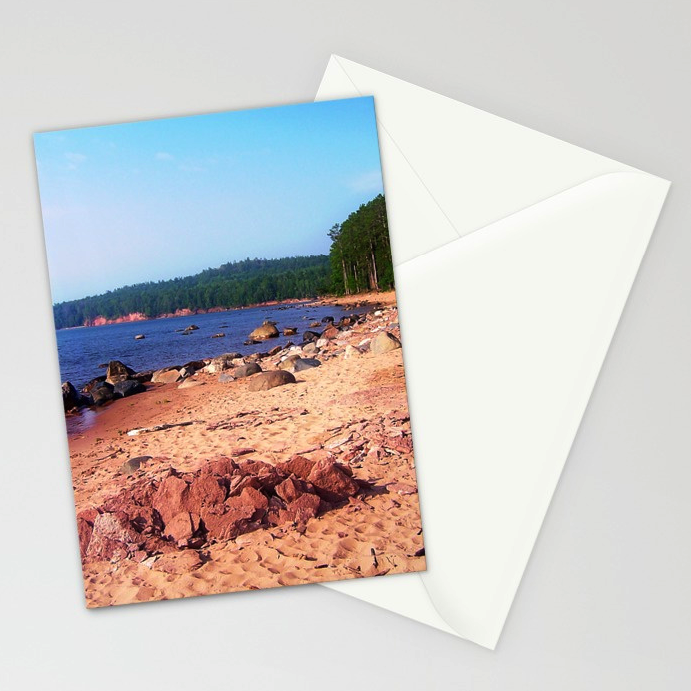 Framed print customization options include size, frame, mat, paper and finish. Enjoy my landscape rendition of white cap waves on Lake Superior. 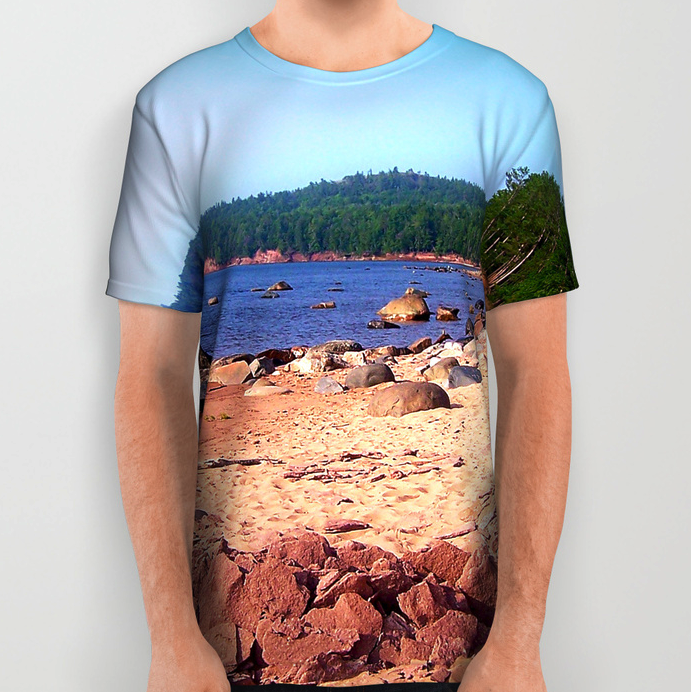 Based on a photograph taken in Michigan’s upper peninsula, at Presque Isle in Marquette. A variety of prints are available in my gallery at Fine Art America. Send family and friends a great lakes lighthouse on the postage stamp for your envelope. Featured here is the historic lighthouse located on Lake Michigan, in Holland, Michigan, commonly referred to as “Big Red”. The ever changing shoreline of Lake Superior offers an adventure for those interested in outdoor activities, and is often a beauty to behold. Rocks, some quite large, and driftwood are commonly rearranged over time by rough waters, adding interest to this Upper Peninsula landscape. 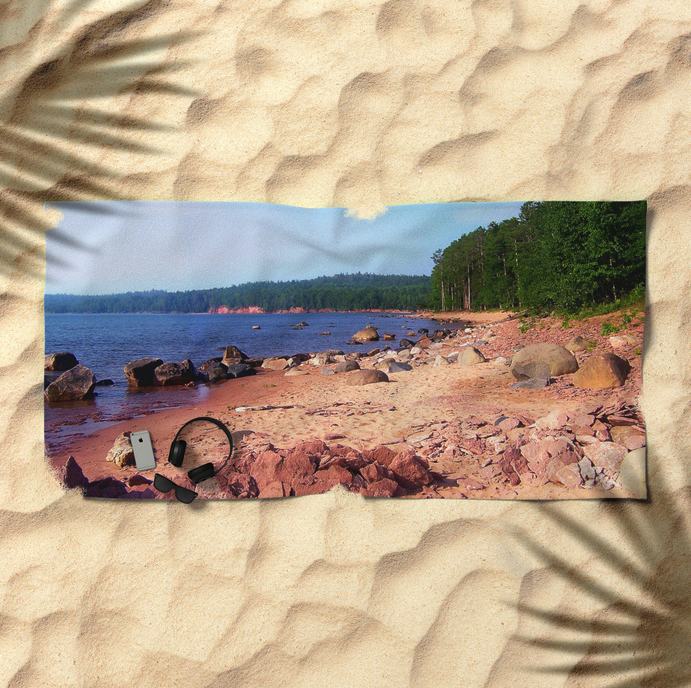 Enjoy this Upper Peninsula graphic design, featuring a photograph of Lake Superior taken in the northern Michigan city of Marquette, at Presque Isle. A variety of items featuring this photograph are available in my galleries at Redbubble and Society 6. Stop by for a visit, sometime.